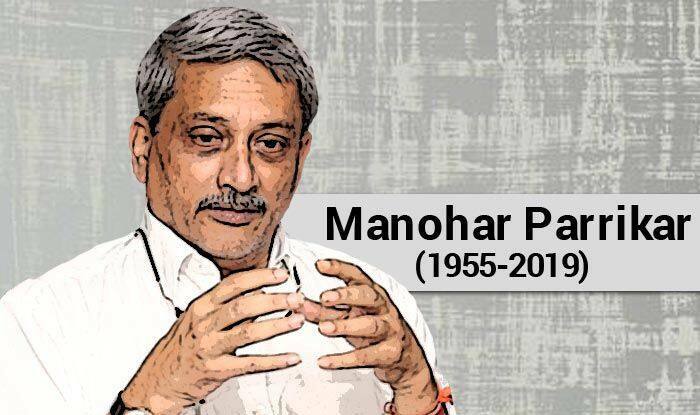 On the day of the funeral, Parrikar’s body was kept at Kala Academy for state honours. Panaji: After several social media posts emerged suggesting four Hindu priests performed a ‘shuddhikaran’ or purification ceremony at Kala Academy, where late Chief Minister Manohar Parrikar’s mortal remains had been kept, Goa’s Art and Culture Minister Govind Gaude ordered an investigation into the same. Initial investigations revealed that three staffers wanted to do chanting of Om ceremony. “These were Brahmin men who are staffers in our academy. When I entered in the morning I saw these staffers performing a ritual. They asked me to participate without saying anything more than Om. I have asked the three staffers to explain it,” said member secretary of Kala Academy Gurudas Pilernekar. Reports of ‘shuddhikaran’, went viral on social media in Goa, were first tweeted by a local resident. Thereafter, a video of the ceremony emerged.